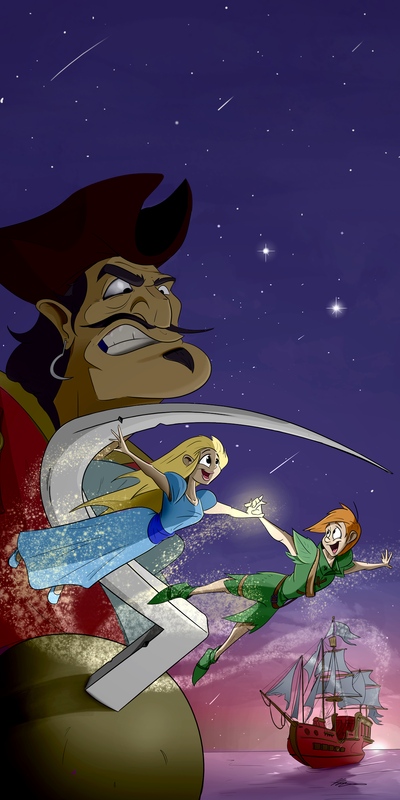 Captain Hook is out to reassemble the fabled Whirring Whirligig, said to give control of Neverland, and it's up to the mighty Peter Pan to stop him, along with his plucky sidekick Wendy. Or it's up to Wendy to stop him, because Peter is largely helpless without her. Depends which one of them you believe. Dashing deeds of daring-do and calculated cunning cleverness converge! In traditional British pantomime style, this world premier play by Dan Gibbins promises hilarity, audience interaction, cross-dressing and a rip roaring good time for the whole family. Produced by Okotoks-native and professionally-trained actor Samantha Duff, Goodge-Pink Family Theatre prides itself on creating theatre that's dynamic, fun, physical and accessible to everyone. *PLEASE NOTE: RPAC Theatre's ticket purchasing website is only compatible with the Google Chrome browser.